This blog deals with issues around the topic of inclusion and misguided policies in Germany. Today, the psychiatric hospital in Ueckermünde, a town in northeastern Germany, is clearly proud of its 140-year tradition. However, during the Nazi era, disabled children at the hospital were targeted for systematic killing under the banner of the T4 action. The place remained in operation after the Wall fell. In 1993, Ernst Klee’s documentary “Die Hölle von Ueckermünde-Psychiatrie im Osten“ (“The Hell of Ueckermünde – Psychiatry in the East”) shocked the country. Klee raised awareness about the inhumane living conditions of people with multiple disabilities. The media response was enormous. In 1997, Christian Discher was treated at the acute station, House 12. 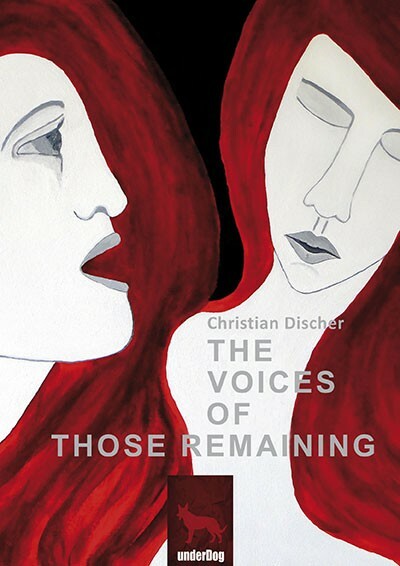 In response to “The Voices of Those Remaining“, Discher’s memoir based on his diary entries, the German journalist Ropers wrote, “He illustrates how he was humiliated and demeaned in the hands of a horrific, arbitrary system.” “I was in the middle of an adolescent crisis and should have received help,” says Discher. “After an 8-week stay, I left the clinic as a person with multiple disabilities.” Discher gives accounts of major human rights violations. The administering of medication designed to break a patient’s will, being strapped down for no reason, locked up and humiliated – these were all common occurrences. The history of injury and injustice repeats itself, also in Ueckermünde. This institution has remained a place behind closed doors where the patients have no right to self-determination, a place where people are not able to defend themselves. Now, in 2016, the same doctors still work there without ever having been held accountable for their actions. Despite the many attempts the author has made to bring attention to the major human rights violations taking place there, politicians and medical professionals have remained silent. “No one seems to want to know the truth. Who knows what other stories will come out someday?” says Discher. The only thing that remains are the memories of his friends, many of whom have already taken their lives or are so marked by medication that they are no longer able to participate in public life. “The Voices of Those Remaining“ is a remarkable book, an eyewitness account by a survivor of psychiatric torture and forced treatment who has managed to overcome his voicelessness. The Voices of Those Remaining is now also available as an eBook. By the end of the year 2015 the book entitled The voices of those remaining will be available.